Fox tends to handle their catalog classics beautifully on home video (I realized this after a recent viewing of Fight Club on Blu-ray). 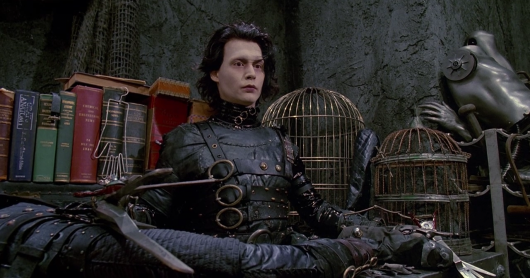 If their work on this new edition of Scissorhands is on par with their finest high-definition releases, then Tim Burton’s classic will be introduced to countless new generations while pleasing greatly those who have cherished it since it was first released theatrically shortly before Christmas of 1990 and watched it many times since on cable and home video. The 25th Anniversary Blu-ray edition of Edward Scissorhands will be released on October 13, 2015.